Prospect Park Apartments for Rent! 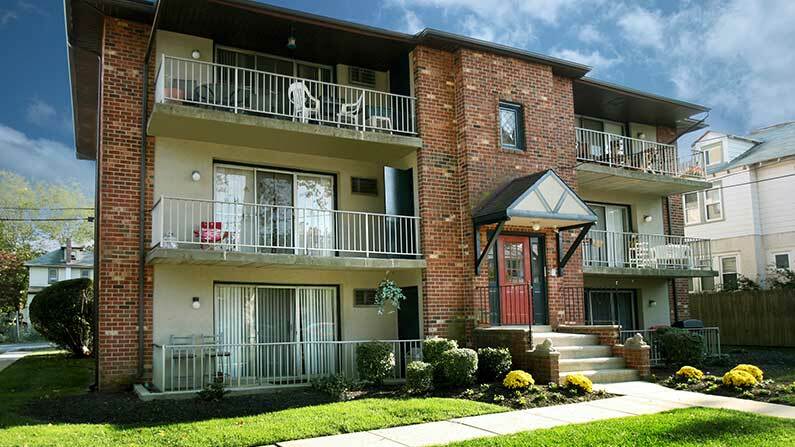 Welcome home to Priscilla Court Apartments, a two-bedroom garden-style apartment community located among a serene residential setting just a few blocks to I-476 and West Chester Pike. Each of these spacious apartments features wall-to-wall carpeting, custom interior paint colors and private patios/balconies. Select floor plans offer designer kitchens and appliances including a dishwasher and garbage disposal. All residents enjoy free gas heat and hot water, convenient on-site laundry facilities and ample off-street parking. 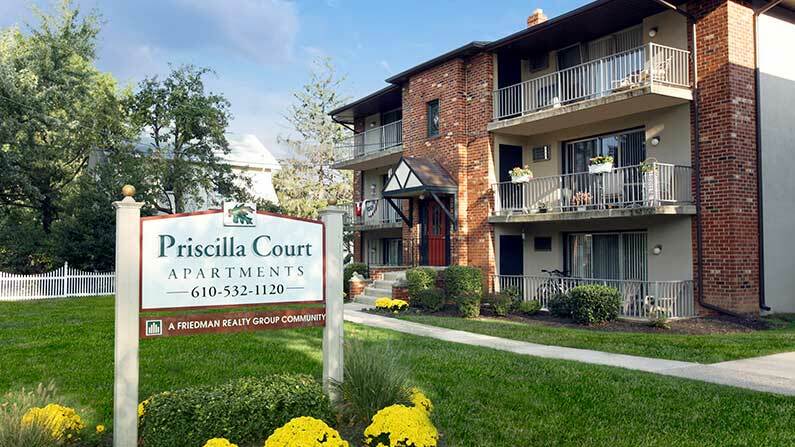 Priscilla Court Apartments is located just off I-476 and I-95 and is nearby Boeing. Residents can also walk to the Prospect Park Station and hop on SEPTA’s Regional Rail for a quick commute to Philadelphia, PA or Wilmington, DE. Tour today to learn how you can live the Friedman Five Star Lifestyle at Priscilla Court Apartments!